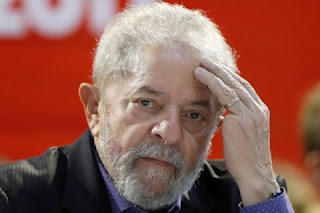 A magistrate of the Supreme Federal Court of Brazil withdrew the investigation weighing on former President Luiz Inacio Lula da Silva to judge Sergio Moro, who leads the corruption case in the state oil company Petrobras, and ordered that it return to the highest court. Judge Teori Zavascki, rapporteur of the Petrobras case in the Supreme Court, also accepted a request submitted by the government that pointed out irregularity in the disclosure of the wiretapping conversations between Lula and his successor and political goddaughter, Dilma Rousseff. However, the decision of Zavascki does not repeal the determination of his colleague of the supreme Gilmar Mendes that last Friday suspended the appointment of Lula as minister of the Presidency, a position that would grant him privileged status. The former president has several cases opened against him and the Prosecutor's Office of São Paulo requested his preventive detention after accusing him formally of money laundering and falsification of documents. Zavascki also granted a period of 10 days for Moro to present before the Supreme Court a report on the case and explain why he authorized the disclosure of Lula's wiretapping and that involved President Rousseff. 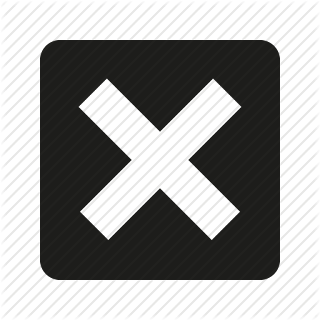 In his decision, the magistrate pointed out that the law prohibits "expressly the disclosure of any intercepted conversation" and determines the "disabling of recordings that do not interest the criminal investigation. There is no way to conceive, therefore, the public disclosure of the conversations of the way it was operated," Zavascki's justification added. Hours before, another magistrate of the Supreme had rejected an appeal presented by Lula in which he requested the validation of his appointment as minister, with what the politician must wait for the decision of the plenary session of this court, which after the recess for Holy Week must meet again on March 30. Lula had requested that the Supreme Court nullify Mendes' precautionary decision. Judge Rosa Weber argued that the case is "sensitive" and "complex" and had determined that the matter was retaken by Moro, while the magistrate of the supreme Luiz Fux also denied yesterday another request from the Government to cancel the decision of Mendes. Rousseff gave Lula the Ministry of the Presidency, the most important portfolio of his government, last Wednesday, although the next day the appointment was suspended due to a cascade of demands. Mendes argued that Rousseff's decision was made "clearly" in order to "prevent" a possible arrest of Lula for the causes that are pending. Dilma Rousseff said that the decision of the Supreme Court to preserve everything related to an investigation for alleged corruption against his predecessor, Luiz Inácio Lula da Silva, "establishes the primacy of the law." According to Rousseff, "everyone should be worried if the processes are not done within the law," because "the basis of the democratic state is compliance with the law." On the broadcast, made once the former president was appointed minister, Moro explained that the content of the recordings was of "national interest". The president of the Workers Party, Gleisi Hoffmann, said that Lula was informed today about that decision of the Supreme Court, which is considered by many as "a defeat" for Moro. "It's good news, of course, the Supreme Court made a correct decision and is confirming what President Lula's defense raised about Moro's arbitrariness that goes against what is established by law, we believe that this can open the way to annul all processes, "said Hoffmann. Meanwhile, polls continue to show Lula as a favorite ahead of the October elections. Last week the consultancy Datafolh presented the first survey after the former president's arrest, which revealed that he remains as a favorite with 31% of the intention to vote for the first round, and between 46 and 48% in the ballot.